The Ethics Commission was created in 1996 as a result of a citizens' vote to amend the Home Rule charter. It is an independent agency with advisory and quasi-judicial powers. Government employees and officials have a special duty to serve the public in a fair and just manner. The Ethics Commission is dedicated to bolstering public trust in the administration of government by informing the public and private sectors about the laws and seeking strict compliance with them. It is empowered to subpoena, audit, and investigate all facts and persons materially related to a complaint at issue. The mission of the Ethics Commission is to ensure the integrity of both the governmental decision-making process and the electoral process, to restore public confidence in government, and to serve as the guardian of the public trust. The Ethics Commission is committed to public education, training and community outreach. This responsibility is discharged in a variety of settings including training sessions and workshops for government personnel, to conferences and seminars on topics of interest in the community. Another important area of responsibility involves advice-giving. Each year several hundred local government officials and employees seek legal opinions from the Ethics Commission to establish the standard of public duty they should exercise. All of these opinions are posted on the Ethics Commission’s website. The third role of the agency is enforcement of rules and ordinances under the Ethics Commission jurisdiction. The Public Advocate and a team of investigators may intiate probes and prosecute cases against violators. 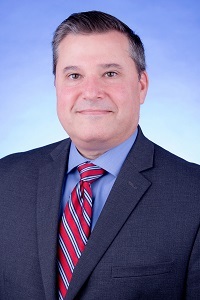 Read the latest message from Miami-Dade Commission on Ethics and Public Trust Executive Director Joseph M. Centorino. The Ethics Commission is composed of five members, each serving staggered terms of four years at a time. Recieve answers to Ethics Commission Frequently Asked Questions. Links to other government agencies and organizations associated with public ethics. In 1996, the citizens of Miami-Dade County voted to amend the Home Rule Charter to create an Ethics Commission. Subsequently, the Board of County Commissioners, through Ordinance 97-105, established the Commission on Ethics and Public Trust, an independent agency with advice-giving and quasi-judicial powers. The Commission on Ethics & Public Trust has received several special recognitions and awards.